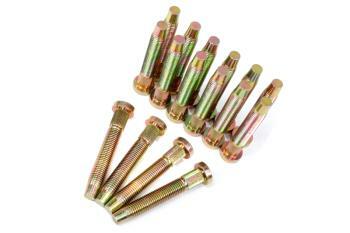 BLOX Extended Wheel Studs UNIVERSAL - MiataRoadster - Stay tuned with MiataRoadster! BLOX Racing extended wheel studs are manufactured from high-strength alloy steel. They are intended to be used with open-ended lug nuts or when wheel spacers are required. These durable wheel studs meet the safety rule requirements for different sanctioning organizations. Spot-welding is highly recommended after installation.